"Today Kevin and I had an adventure. Since late 2011, Kevin had it in his head to ride to Mt. Baldy. He kept a good training routine and sure enough, he made it to Baldy today! Great job, Kevin. It only gets easier." 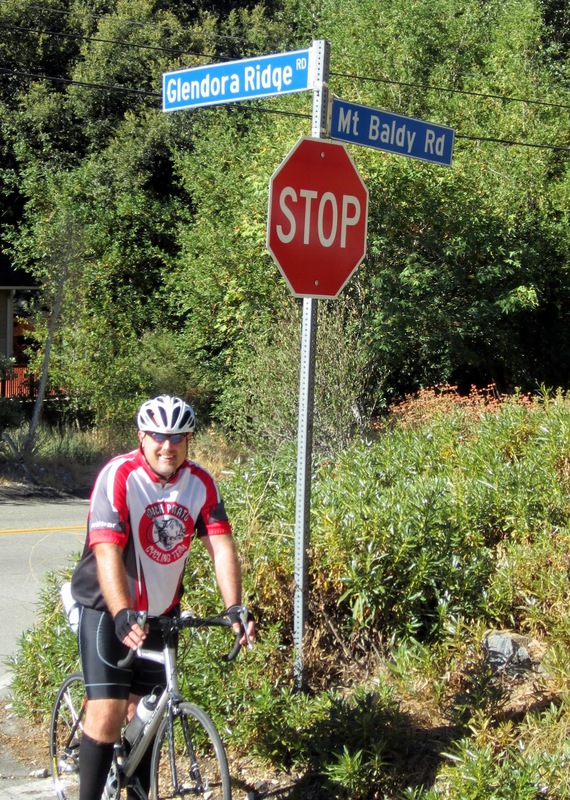 Three and a half years after thinking about riding to Baldy Village, I finally made it. Despite a few health setbacks, I can now check it off that list. Like many other BicycleFriends rides, it starts with a Plan from Jason. 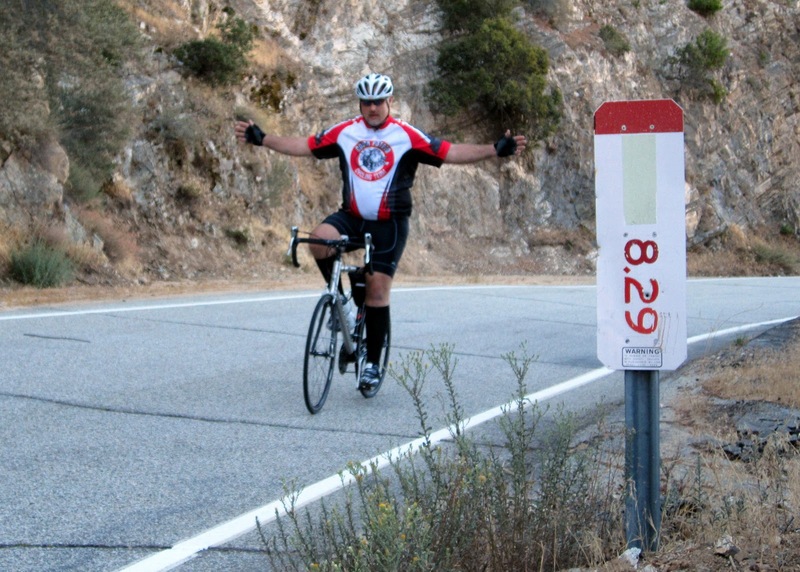 I have ridden with Jason enough to know that he is challenged with distance, difficulty, grade etc. We still talk about the day he talked me into an easy mountain bike ride on Sunset Ridge. I think he posted something. 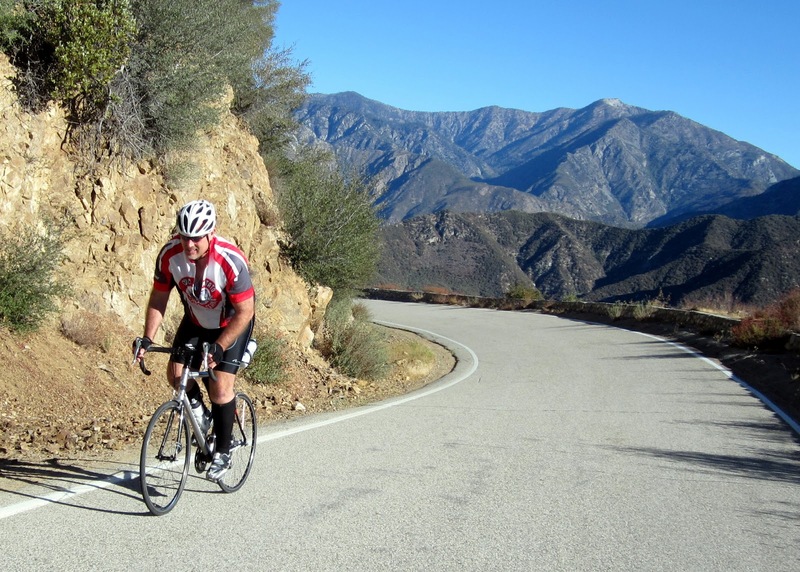 Short story - extra climbing, double the distance, & 95* temps resulting in heat stroke. With Jason posting my results and coaching me along the way, I made it to Fork +8.3 a couple of weeks ago and we scheduled the celebratory ride for today, September 1. 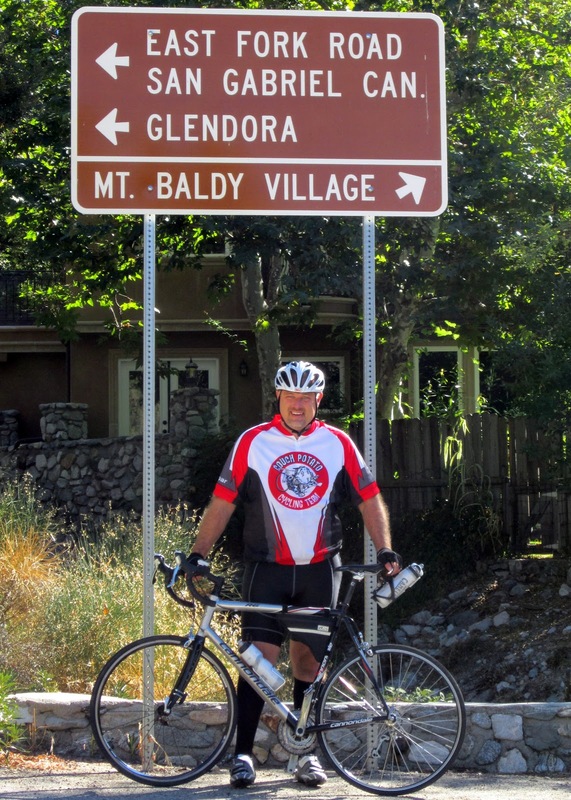 Jason's plan: start at 6am (Jason riding fixie) and meet up with me when he reached GMR in Glendora. I modified the plan after suffering in the heat on Glendora Ridge, last week. I left at 530 am and Jason would catch me sometime after the first saddle. Well, I made it to the maintenance shed with no Jason, feeling pretty awesome. Only to find out that Jason was delayed when he stopped to talk to Christian at the bottom of GMR. After about 5 minutes of much needed rest at the shed, Jason and another fixie rider showed up. We chatted for a few seconds and then took off. Stopped for a quick bottle change at about F+3.6 dropped down to F+4.5 and started the climb to F+8.3. I think I slowed Jason down, but he quickened my pace until about F+7. I found what little shade there was and stopped as I was starting to cramp. Jason continue about a tenth of a mile and help a rider with a flat, who was dropped by her friends. Despite what his coworkers say about him, Jason really is a good guy with helpful demeanor. With the flat fixed and my legs straightened out we continue with Jason asking about how I was feeling. It was then when he came clean. "To be honest, after 8.3 it's not really all downhill". "WHAT?..." I exclaimed know that there was another 1.5 miles of more gentle climbing according to Annette. I celebrated at F+8.3 nonetheless. And we continued. 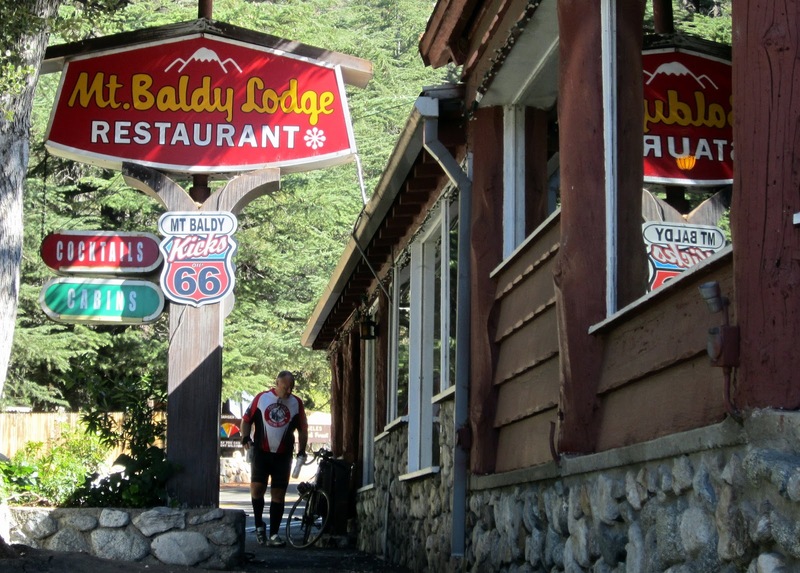 Jason had The Baldy Village Inn open early just so he could buy me that beer. Thanks Jason! A short 45 minute downhill ride and I was home. Thanks to all the fellow GMR riders offering encouragement over the last year. And special thanks to Jason, whose coaching and encouragement helped keep me going. Cheer! 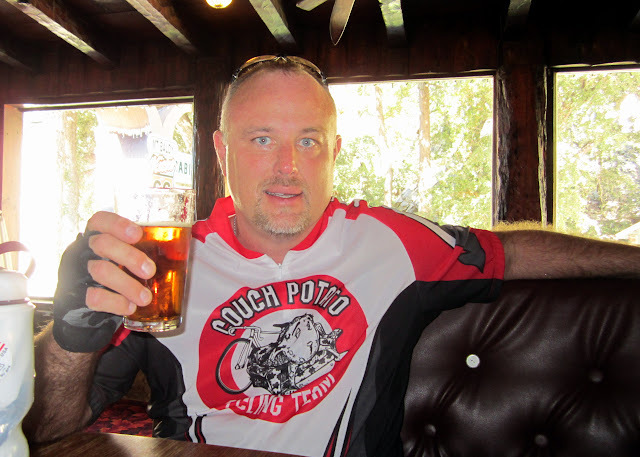 I don't always drink beer, but when I do its in Baldy Village with Bicycle Friends. That looks a great ride....! Congratulations Kevin! Let me know when you go up to Mt. Baldy Village again and I will join you. Or if you're up to it, let's take the San Gabriel River Trail to Long Beach and back! Hope to ride with you soon!